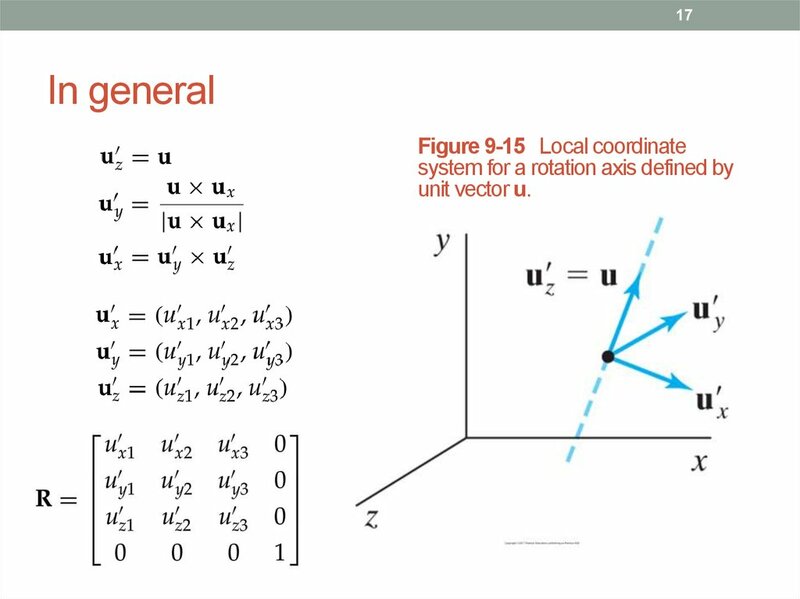 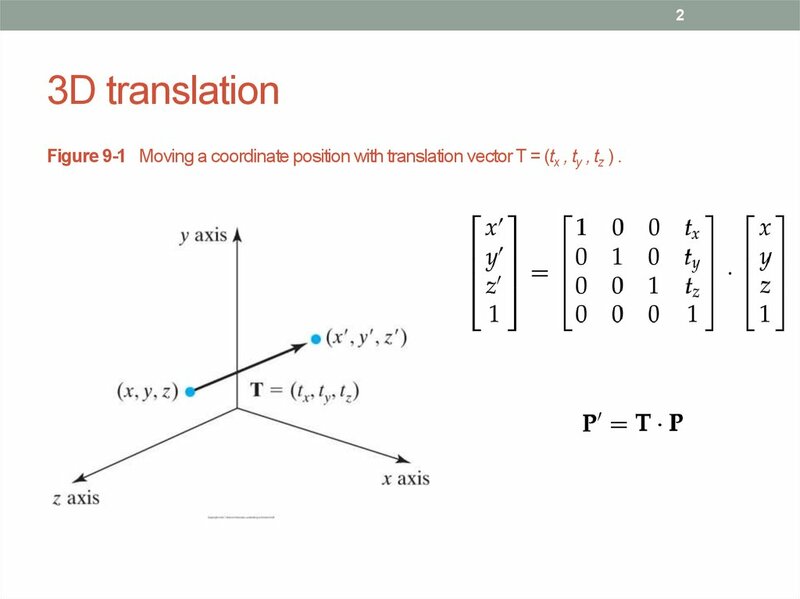 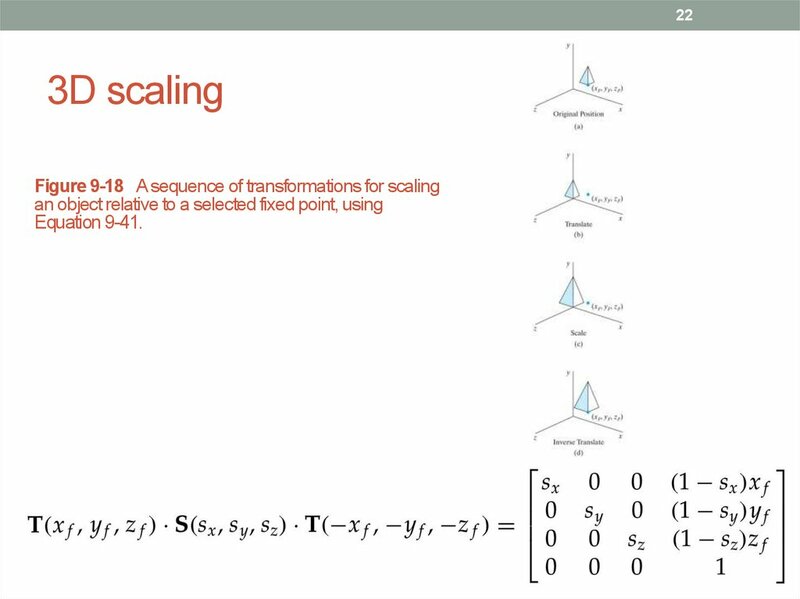 Figure 9-1 Moving a coordinate position with translation vector T = (tx , ty , tz ) . 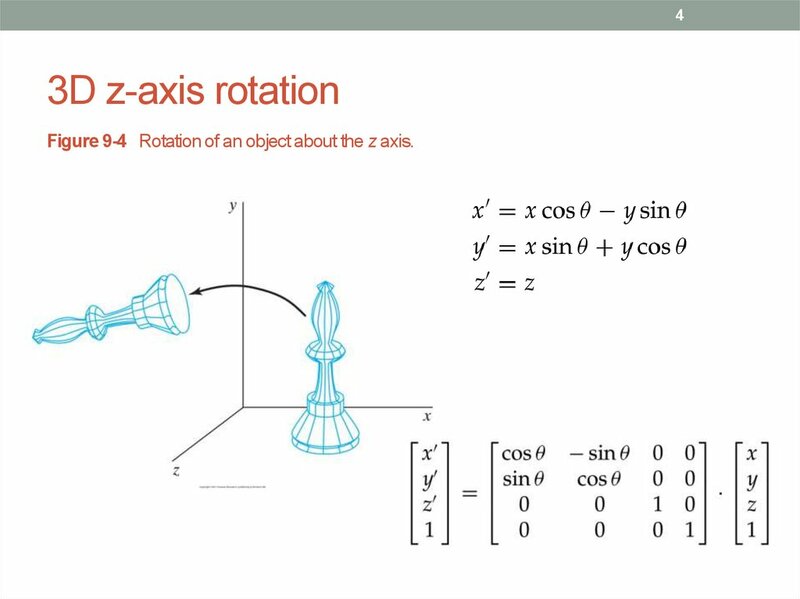 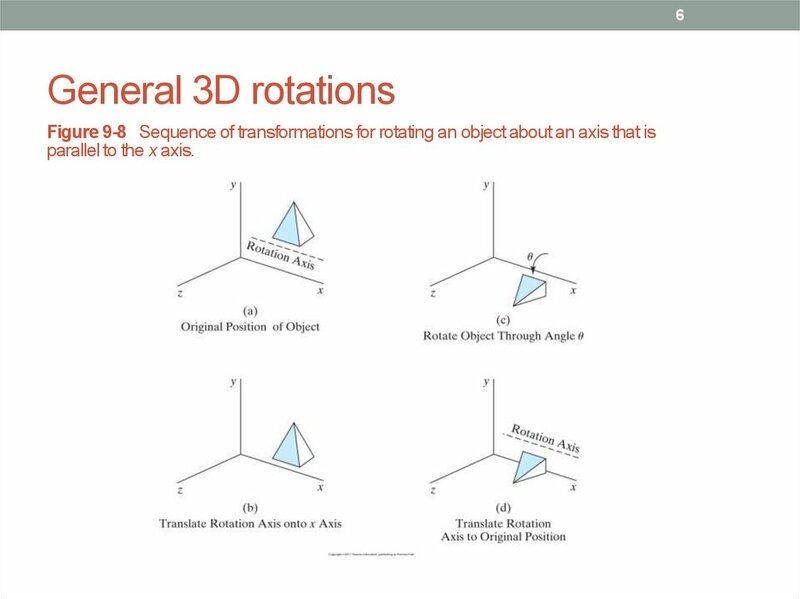 Figure 9-4 Rotation of an object about the z axis. 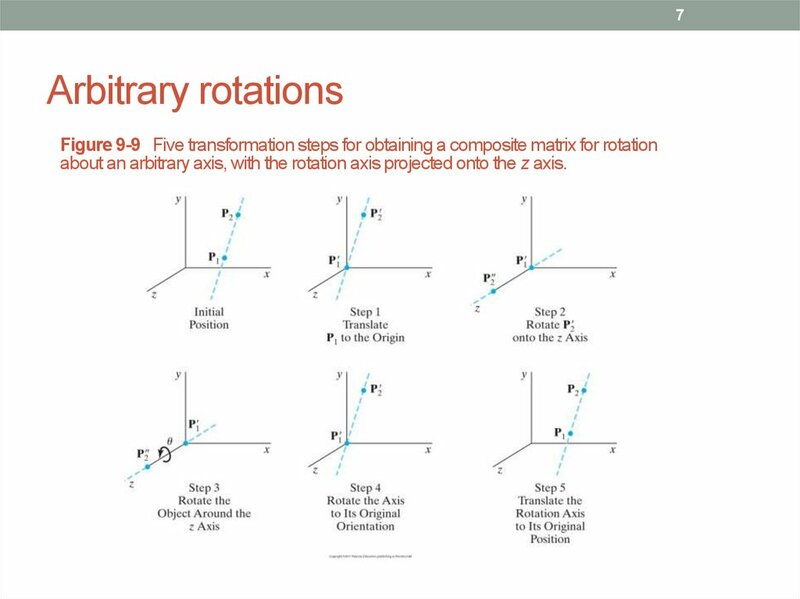 parallel to the x axis. 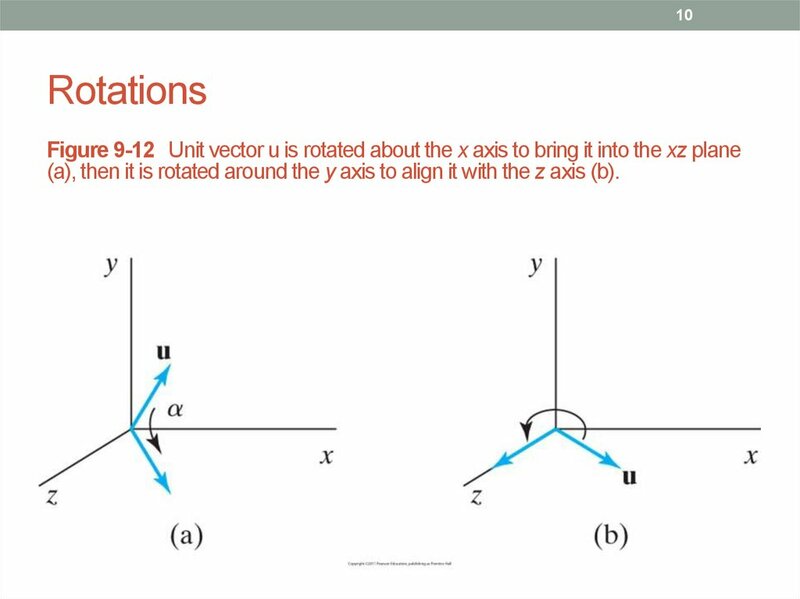 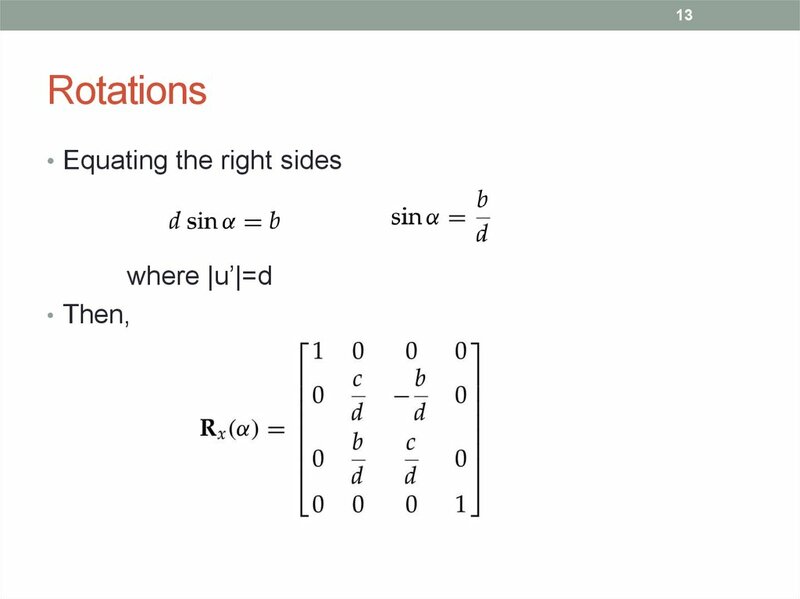 about an arbitrary axis, with the rotation axis projected onto the z axis. 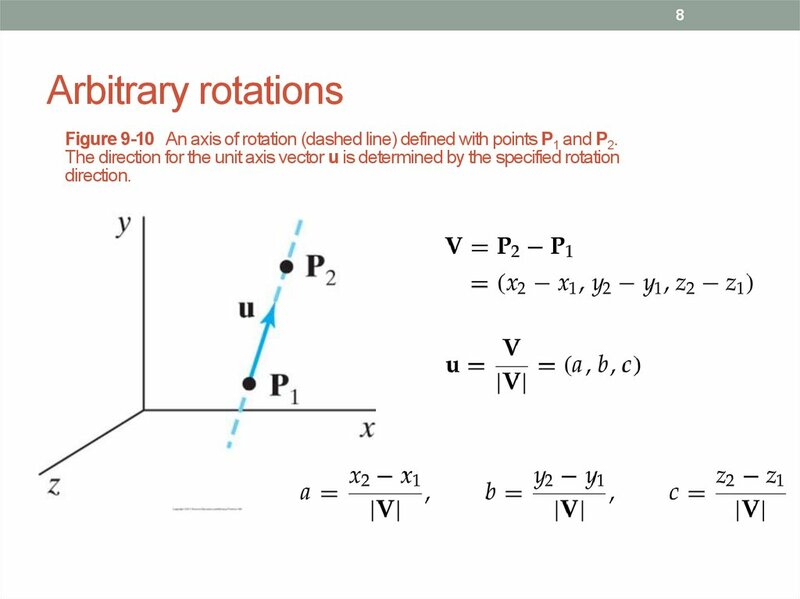 Figure 9-10 An axis of rotation (dashed line) defined with points P1 and P2. 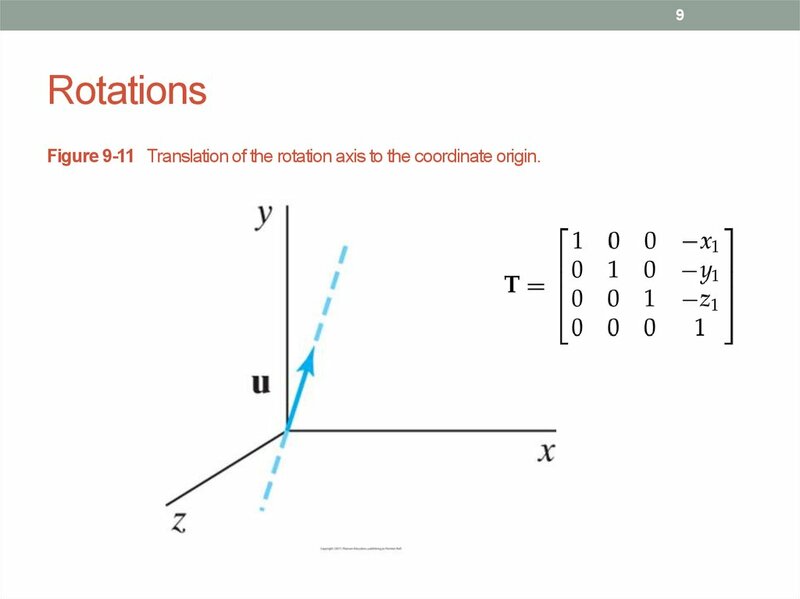 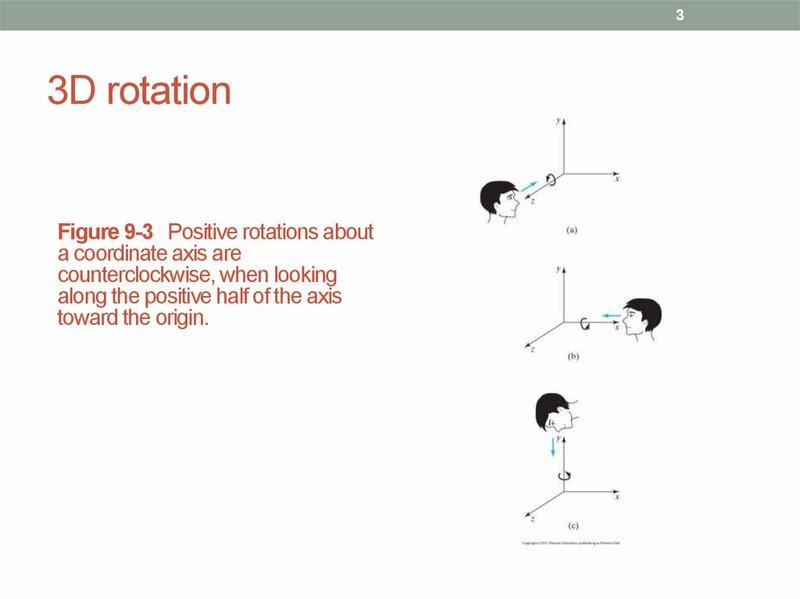 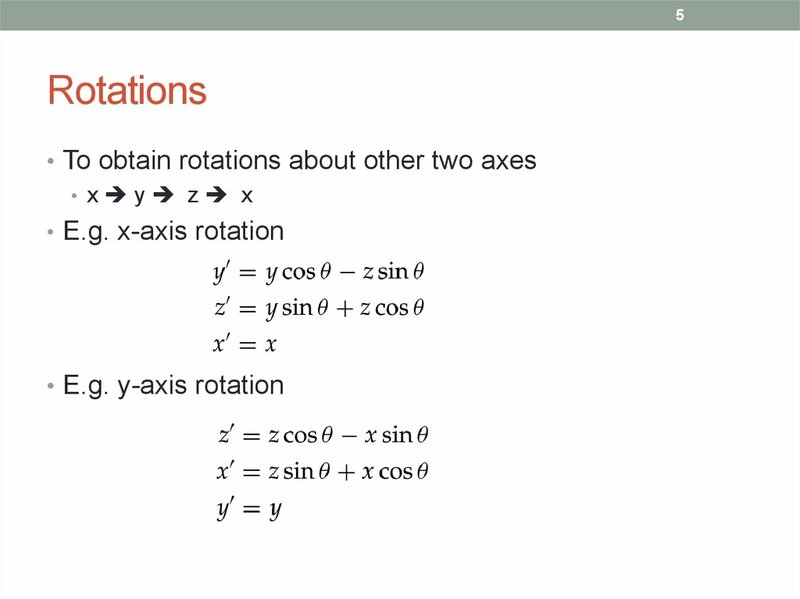 Figure 9-11 Translation of the rotation axis to the coordinate origin. 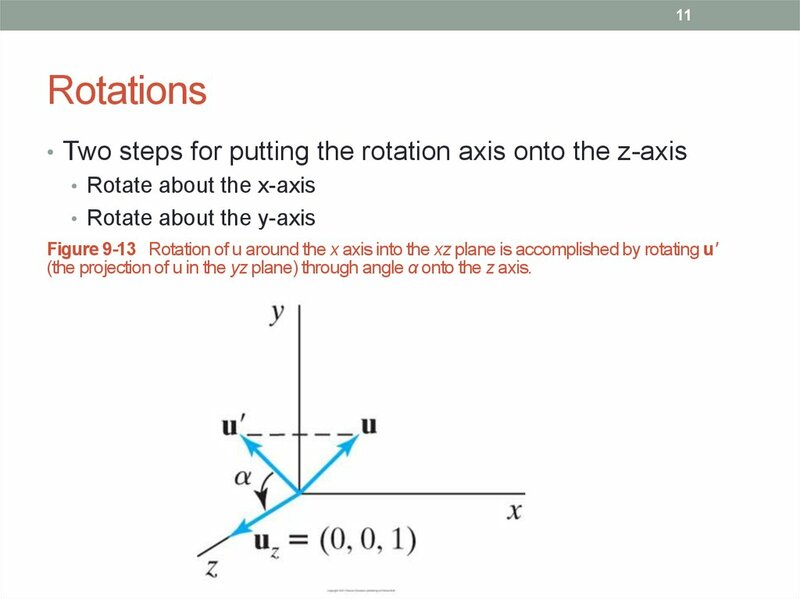 (a), then it is rotated around the y axis to align it with the z axis (b). 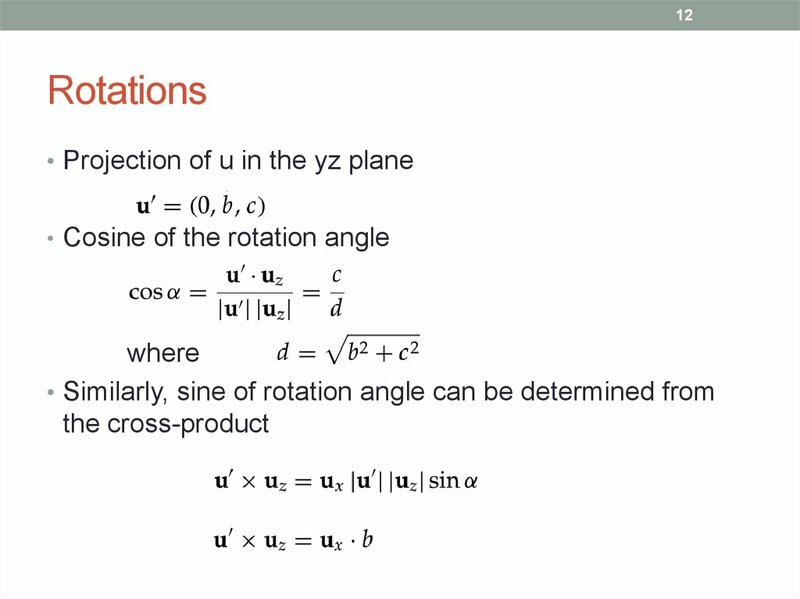 (the projection of u in the yz plane) through angle α onto the z axis. 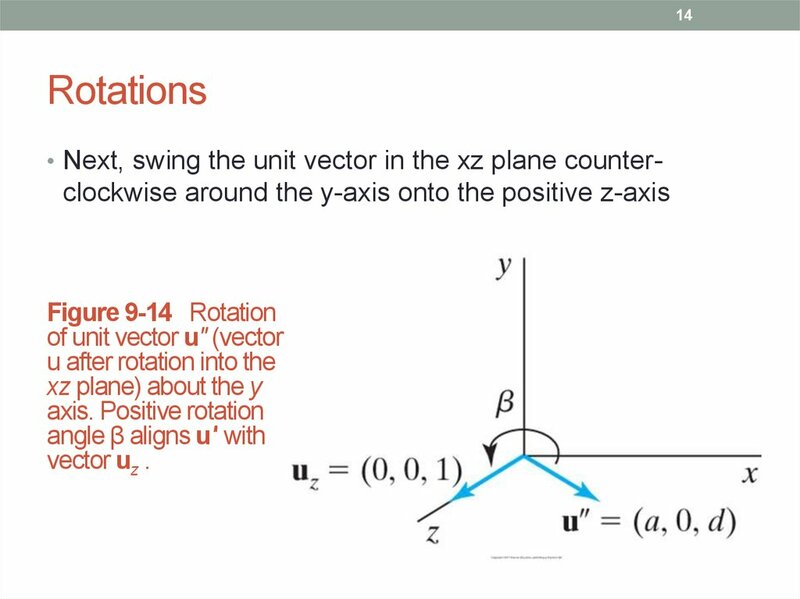 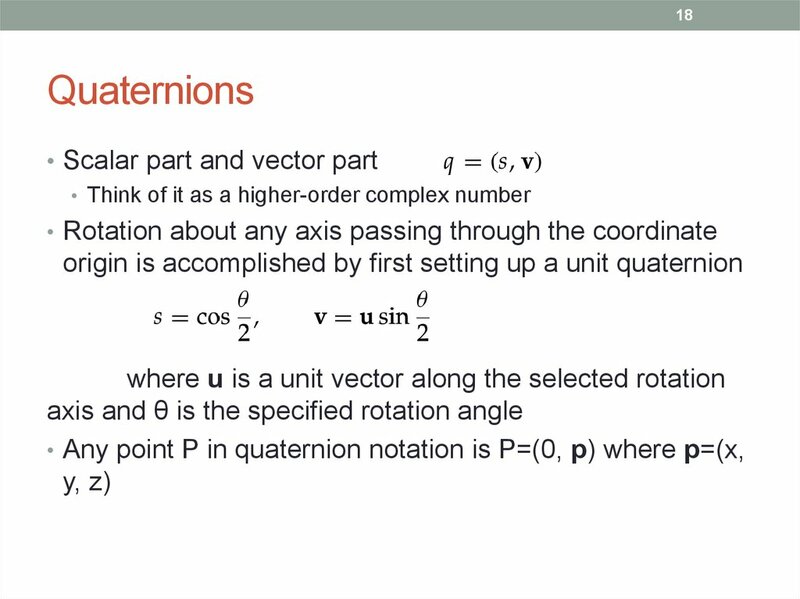 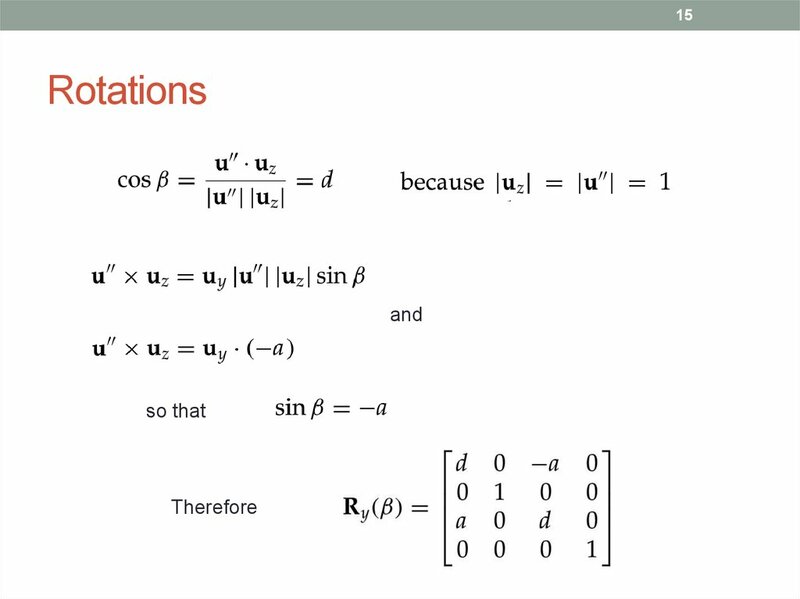 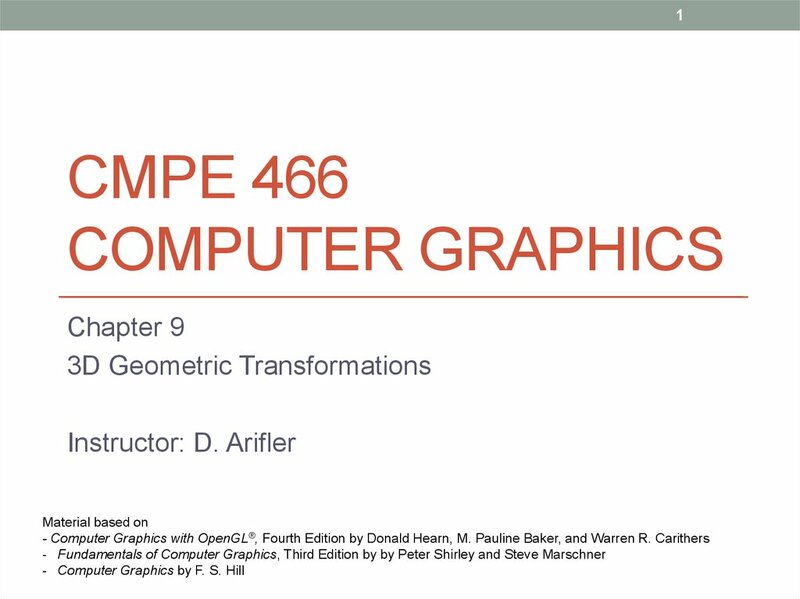 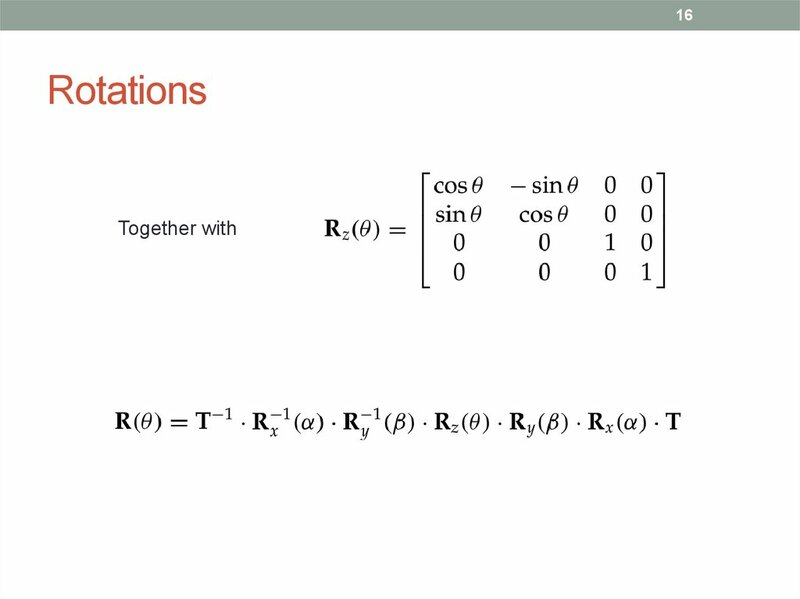 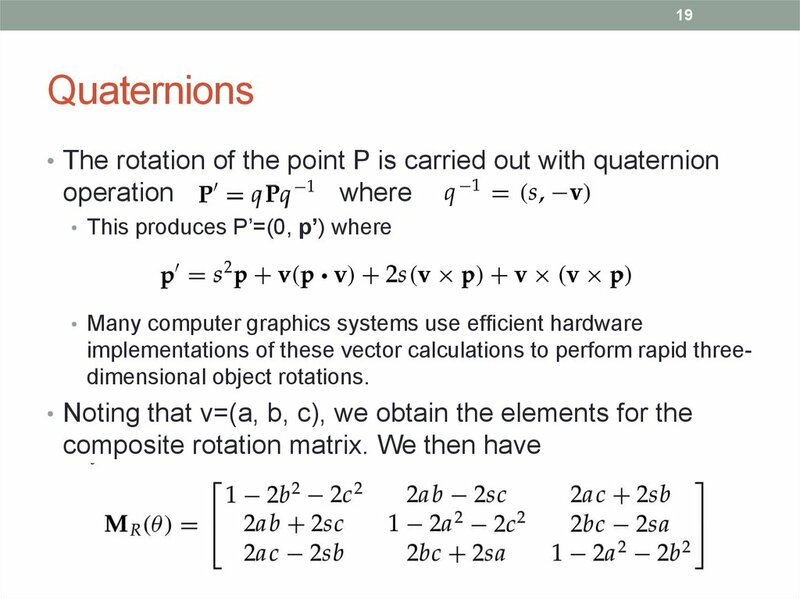 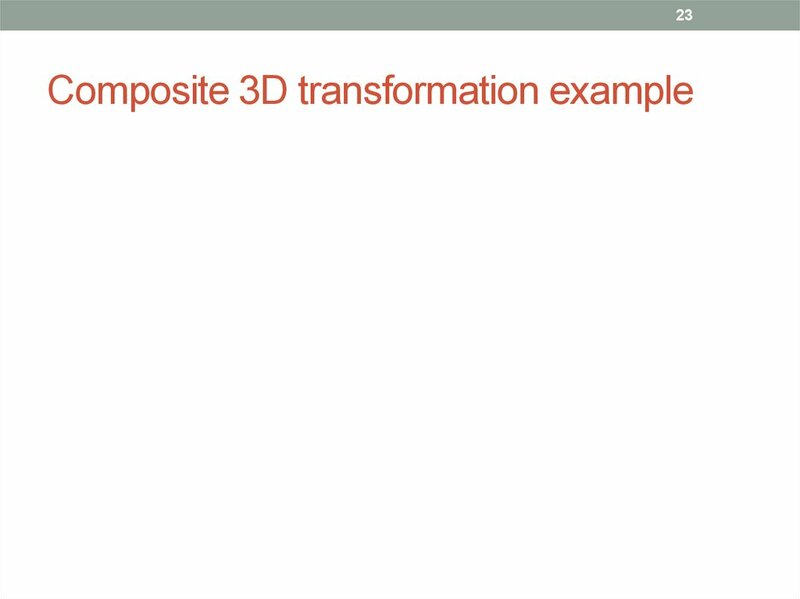 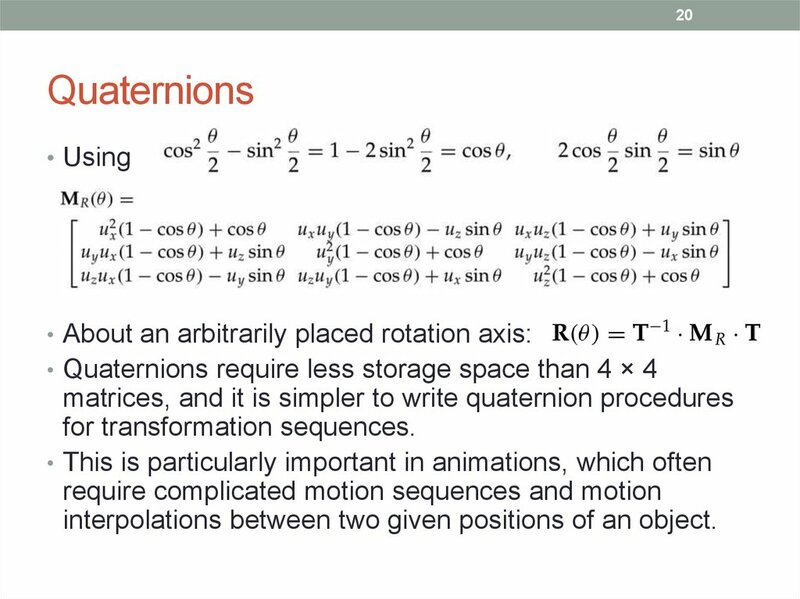 implementations of these vector calculations to perform rapid threedimensional object rotations. 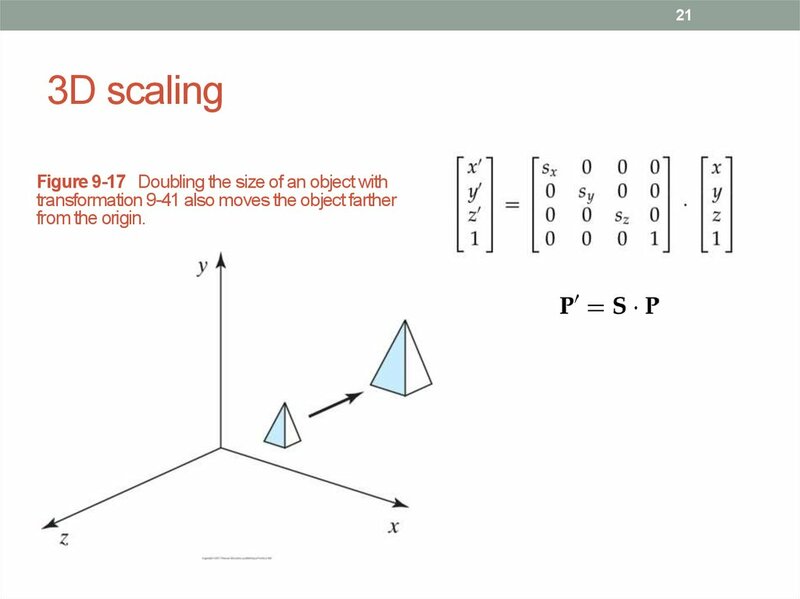 interpolations between two given positions of an object. 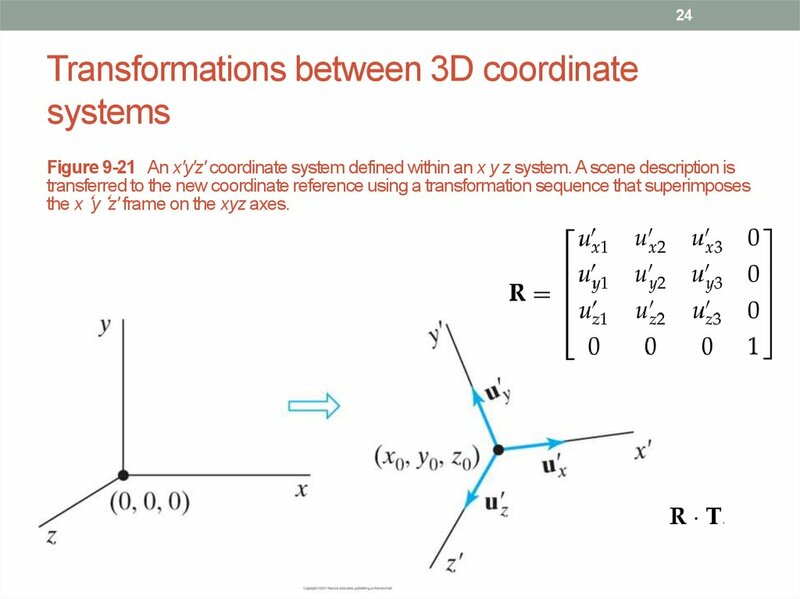 the x‘y‘z' frame on the xyz axes.